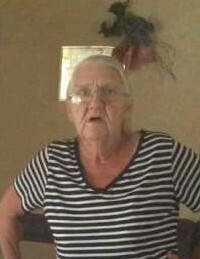 HARTFORD-Teresa Lynn Hayes, 64, of Hartford died Saturday August 18, 2018 at her daughter’s home in Beaver Dam. Teresa was born in Ohio County, was a member of Hartford Baptist Church and worked as a caregiver. Survivors include her husband William David Hayes, Sr.; a son-William David Hayes, Jr.; 3 daughters-Jennifer Lynn Aguilar, Shelly Jean Hayes and Kelly Jo Hayes; 3 brothers-Lyndon Wilson, Steven Wilson and Terry Wilson; her sister-in-law Kasey Brooks; 19 Grandchildren and 1 Great Grandchild.